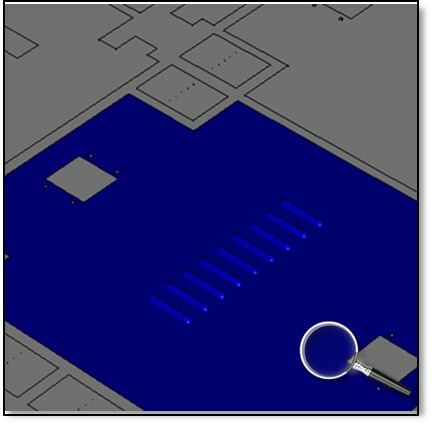 MetaCAM Enterprise is the latest module from Metamation that is designed to bring more automation and visualisation to the sheet metal manufacturing process. 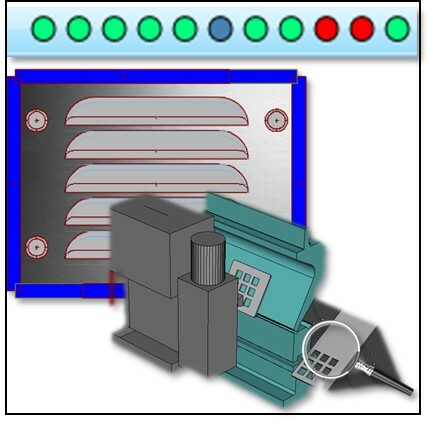 Metamation Support Many Models and Brands of Profile Cutting and Press Brake Machines. Including but not limited to Accurpress, Adira, Aerotech, Airco, Aizawa, Akyapak, Amada, Amada Retrofit, Anord, Anritsu, Asia Machine, Baykal, Busellato, Bystronic, Cincinnati, Coherent, Colgar, Cybelec, Daihen, Danobat, Dener, Dongguan Cosmos, Durma, Echert, Ermaksan, Esab, Euromac, Farley, Feng Ke, FinnPower, Flow, FujiKiko, Fukuda, Gasparini, Gizelis, Haas Router, Hangwang, Heian, Hoike, Holz-Her Cosmec, Hust, HydroJet, HydroPower, Hypertherm, Industrial Motion Systems, Jinangsu JinFang Yuan, Kitagawa, Koike, Komatsu, Komo, Kotaki-Seimitsu, LaserCut inc, LFK, L-Tec, LVD, Mach2, Maru, Mazak, Meruga, Messer, Mitsubishi, MultiCAM, Muratec, MVD, Newton, Nigata, Nippei Toyama, Nisshinbo, Oigo Planer, Omax, Onsrud, Pacific, Panasonic, Photonics, Prima, Prima Power, ProFab, Proteck, Pullmax, Rainer, Robotica, RSS, Safan, Salvagnini, Seibu, Semitsu-Youdan, Shallme, Shibuya, Shin-Nihon Koki, Shinx, Shoda Router, Sirius Plasma, Sugino Machine, TailLift, Takeda, Tanaka, Technika, Techno, Tong-Woei, Toyo Glass, Toyokoki, Trumpf, Urawa S/S, Ursviken, Weinbrenner, Whitney, Wysong, W-clamp. 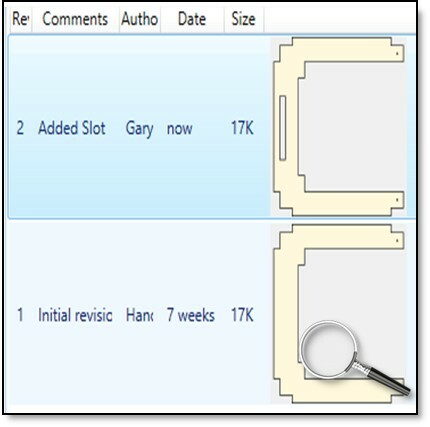 Remove the need for windows based file structure using the new database engine. Perform rapid and detailed search with clear, simple to read visual information for part or job information. 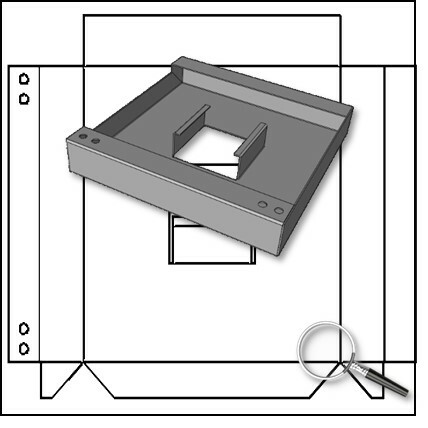 If you don’t have geometry to upload then you can use MetaCAD 2D and /or 3D which has an integrated link with Enterprise saving additional time with offline file creation. 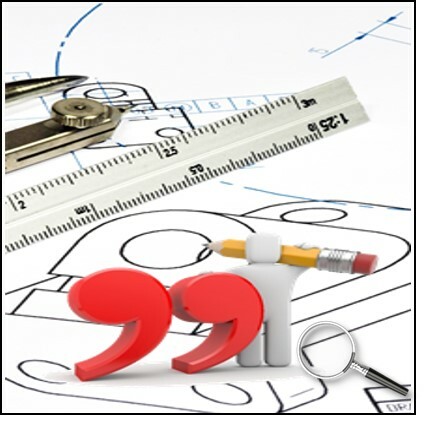 Enterprise has CAD/CAM revision control where you can easily track your part revisions, along with the details of the change, ability to roll back to prior versions and a visual overlay to see the graphical part revisions to compare the differences. Auto tooling on Enterprise has been upgraded through the new database driven system as you create or import parts the system will automatically tool them for every machine you have and like the geometry importing will visually highlight any problems or in some cases will lock the part from a certain machine if that machine cannot physically process the part. Enterprise supports a quick quote feature which will allow you to upload from a large variety of supported formats or draw geometry using MetaCAD 2D and/or 3D. 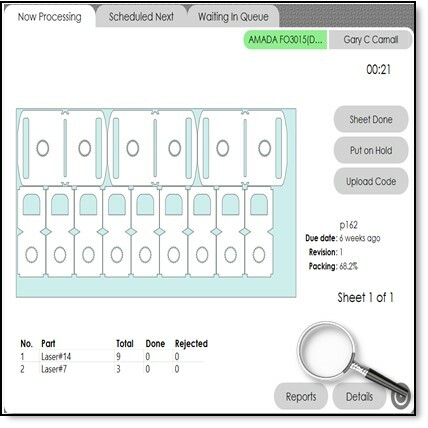 Part Geometry is automatically tooled generating the machine process cycle times with a quick click and print ready quotes are prepared in seconds for the different quoting scenarios. Enterprise also supports importing of ERP/MRP/MES based production schedules and if you are a MIE Solutions MIETRAK Pro user you also have the ability for full integration between the respective systems. 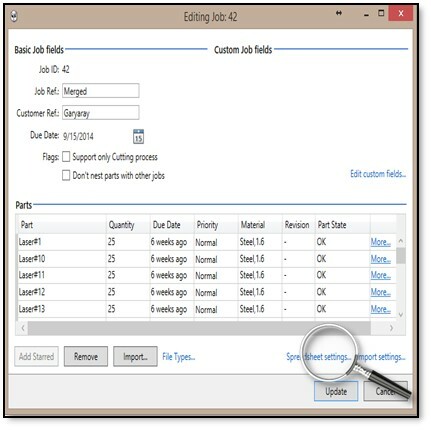 Enterprise manual ordering is quick and simple by selecting parts and creating a job or by using a database search you can quickly create nest jobs within minutes using a variety of different fields of information the system contains. Nest jobs are date driven and are held in scheduling area until it is time for production to begin or you can manually release them early for production. 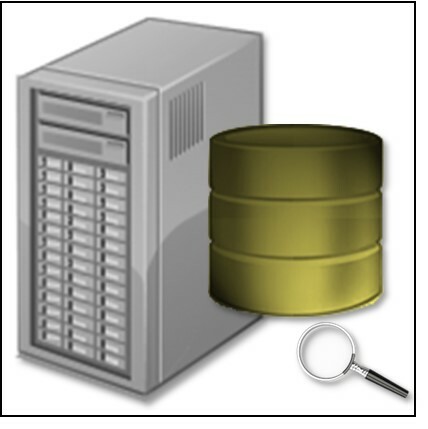 Like the importing and tooling nesting takes place on the server with a simple click to release the job Enterprise will trigger the parts for nesting in the background along with visually showing the results and trapping on any potential errors or low yield (configurable by customer) “Good” nests are sent straight to the operators console. 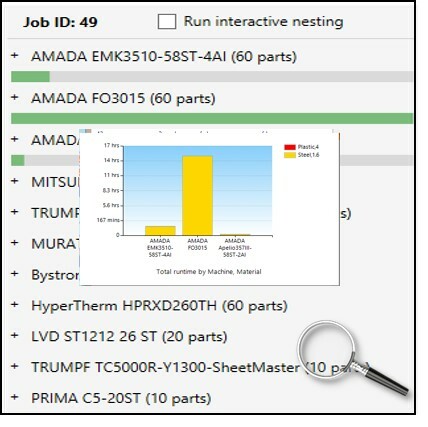 Enterprise also has a library search feature where the system can automatically locate old nests and re-issue them directly to the shop floor without any programming or re nesting taking place. One of the new features is the operator console which is designed to visually show the operator the nests to run along with giving offline operations the overview of jobs in production. The console allows for booking of components, recording of any rework and sending the NC Code and also carries through to secondary operations. In addition to these features the operator screen is real time and being so removes the typical CAD/CAM paper trail from the office to the shop floor. With Enterprise being a database driven system there is an additional wealth of information available from tooling data to production data and quality metrics all of which are easily created with a report designer that also doubles as a metric board and will rotate key metrics based on the customers design. 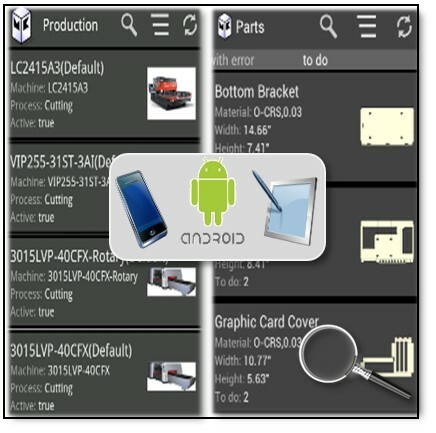 If you are on the move you can use our handy Android application that will allow you real time access to information in the shop so you can check status of parts, production jobs and many other metrics.